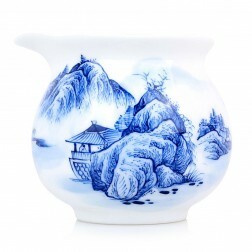 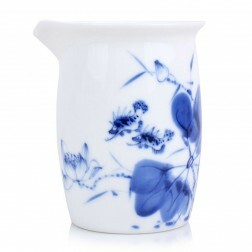 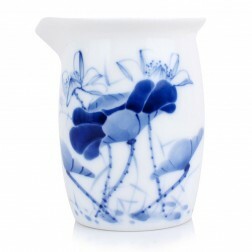 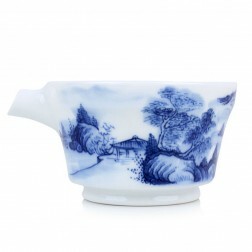 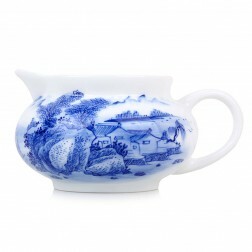 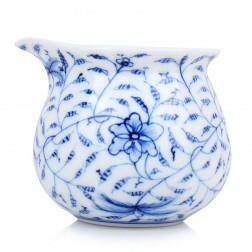 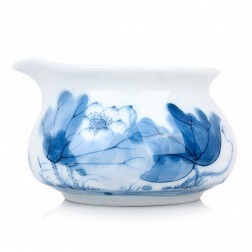 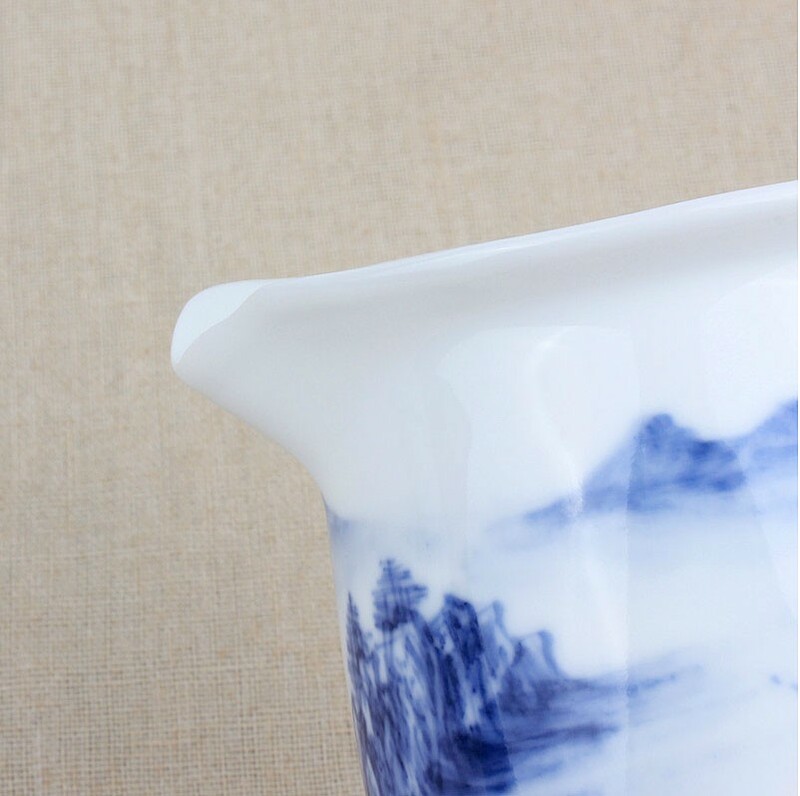 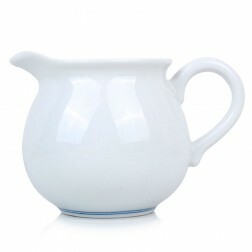 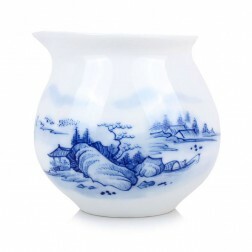 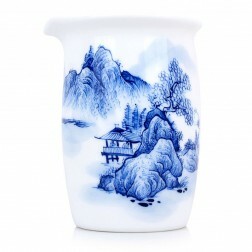 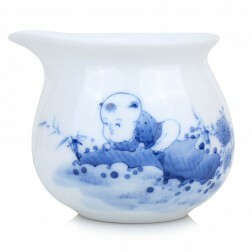 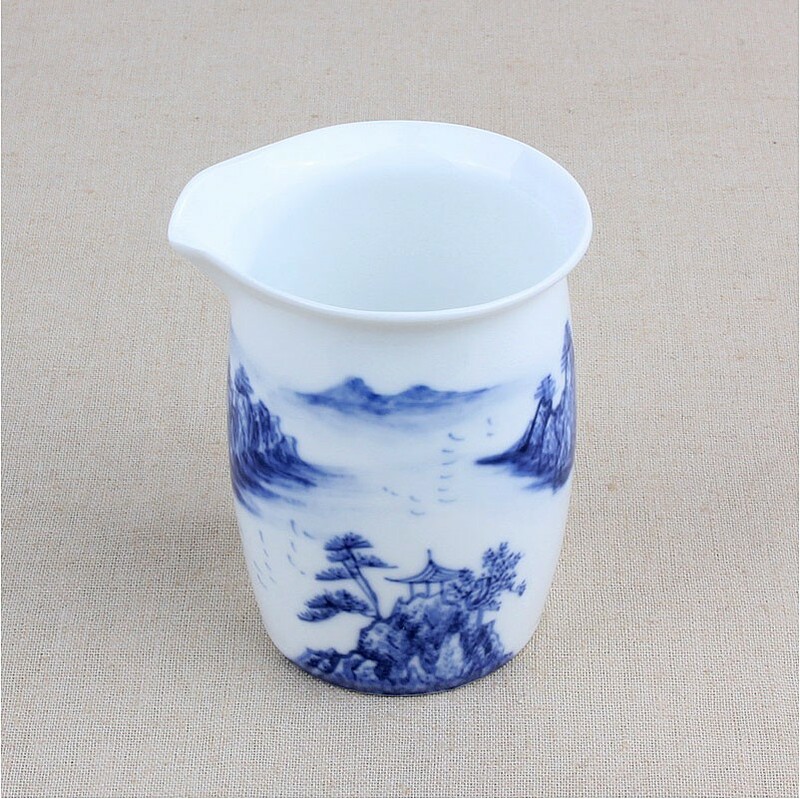 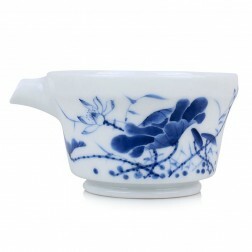 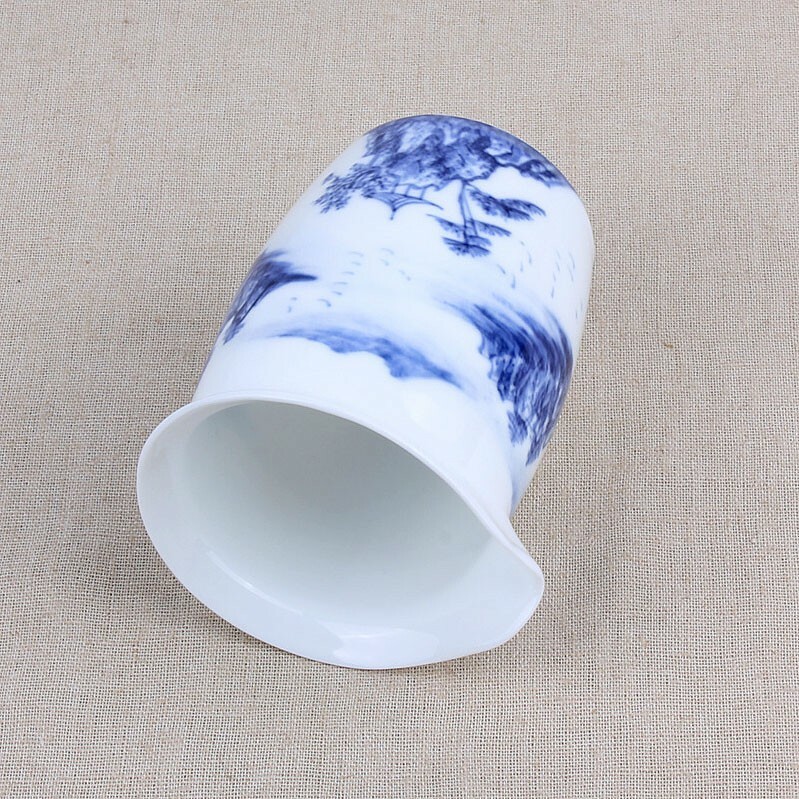 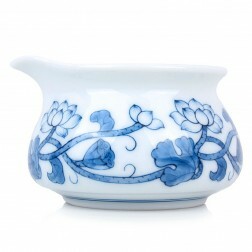 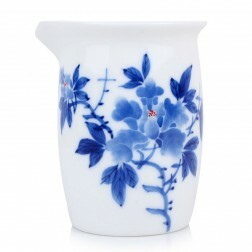 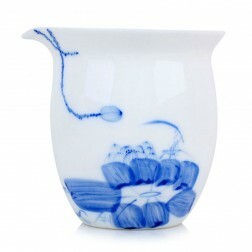 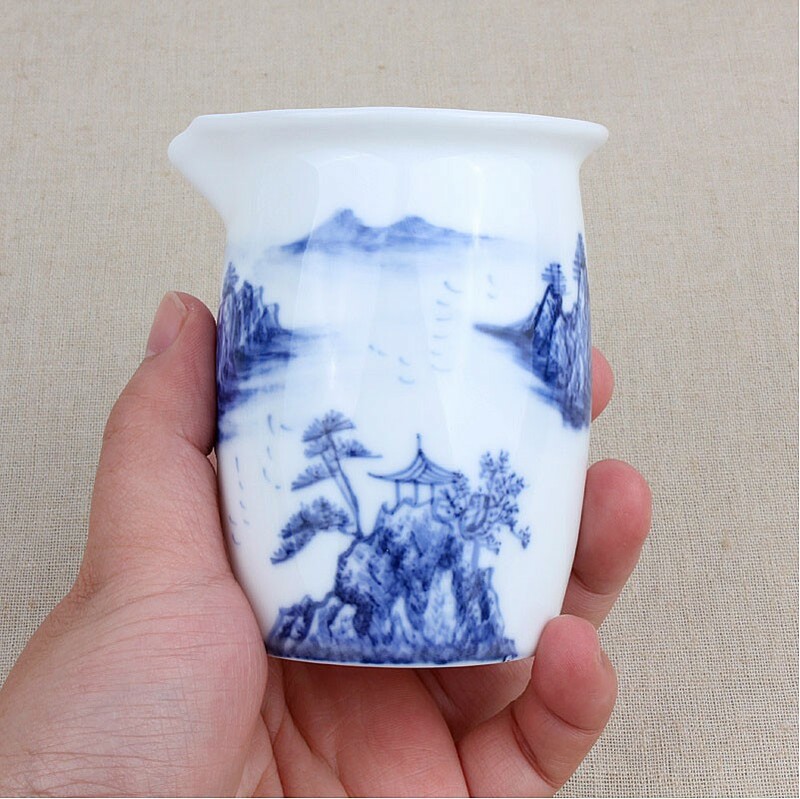 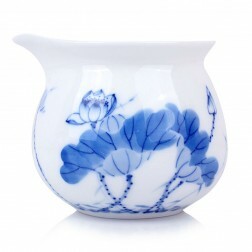 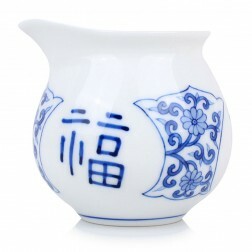 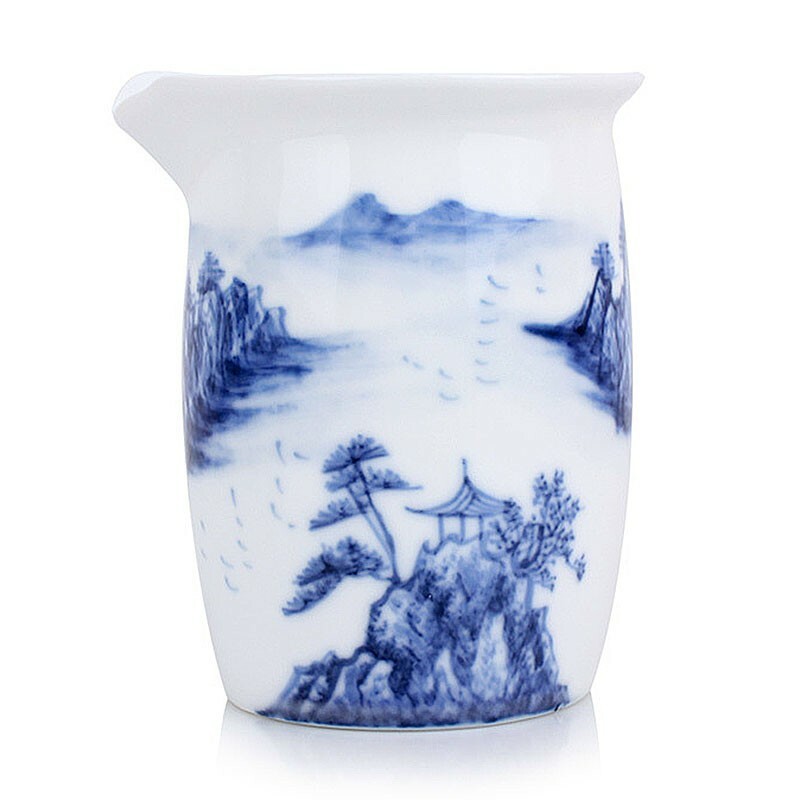 Blue and white porcelain serving pitcher with hand-drawing landscape. 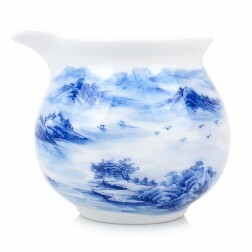 A flock of birds flying in the twilight sky. 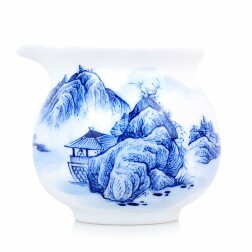 River by the hills... A typical theme of Chinese classical poetic art.